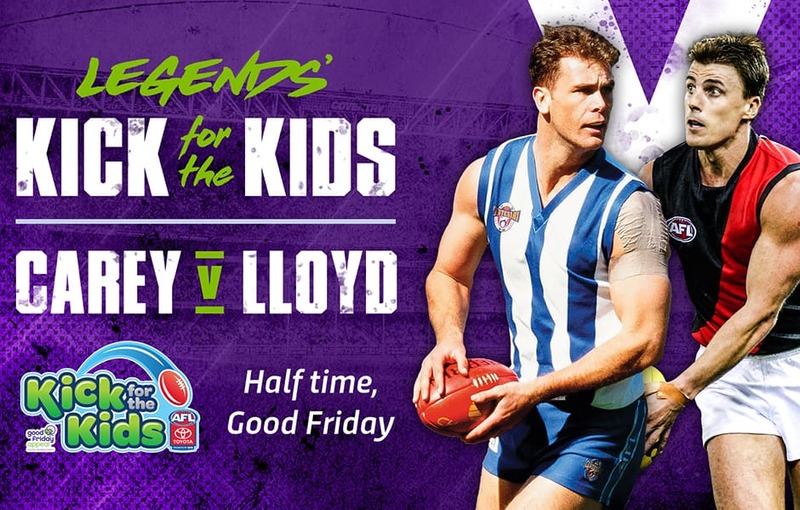 The Kick for the Kids game just got bigger with two of the greatest forwards of all time, Wayne Carey and Matthew Lloyd set to go head-to-head in front of goal. Pulling on their respective number 18 guernseys, the pair will take part in the half-time Legends’ Kick for the Kids entertainment on Good Friday. “Whenever you played against the Bombers you were always looking at the other end of the ground to see how the number 18 for Essendon was doing, and if he was going OK generally the Bombers were going OK,” Carey said. With a personal connection to the Royal Melbourne Children’s Hospital, the sentiment of the day is not lost on one of the Roos’ all-time greats. “Charlotte (his daughter) was 10 weeks’ premature so she was in the Royal Women’s for a while and then after she got out of there she spent time in the Royal Children’s Hospital,” Carey said. “Being a premature baby she had some issues after that, so I spent some time in there and it’s just an unbelievable place, the way they treat people is brilliant and they just do incredible things. Carey and Lloyd will take set shots from 3 different stations 25 metres out, with five balls each per station. Each goal will earn a donation to the Good Friday Appeal, with a bonus ‘money ball’ at each station worth more. With an old time rivalry set to refuel and bragging rights on the line, it will be a spectacle for the ages. Fans can help raise money as the legends are kicking goals by clicking here. 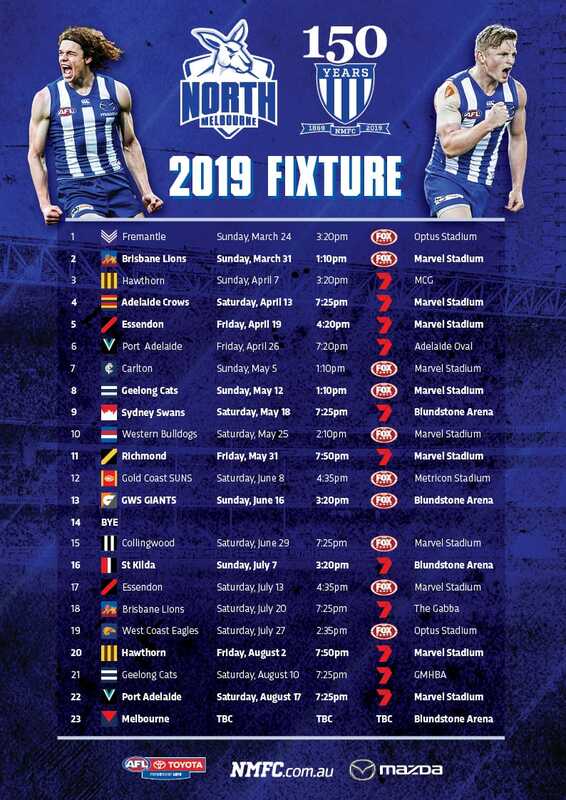 North Melbourne will take on Essendon at Marvel Stadium, Friday, April 19 at 4.20pm. Secure your seat now to avoid disappointment by clicking here.